New Year Offers: Air India And Indigo Are Offering Cheap Flights Ticket On New Year Occasion: In the new year, the Indigo airline is going to give special gifts to its customers. The gift is direct flights between Hyderabad and Bhopal and Jabalpur from Hyderabad. 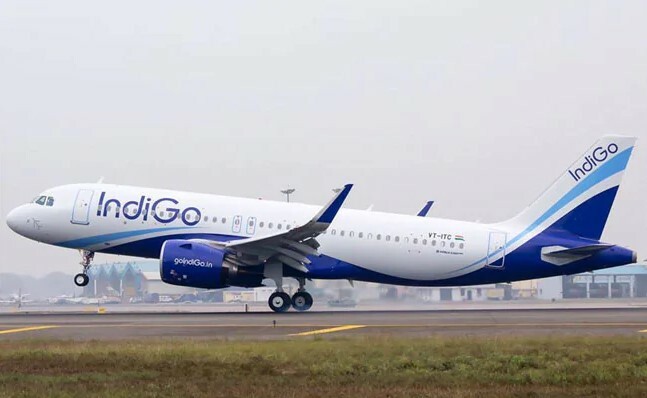 Yes ... Indigo has announced a direct flight between Hyderabad and Bhopal. These flights will start from January 5, 2019. For this, Indigo has kept its fare from 1999 on both sides. The ticket booking process for these flights has also been started. On the same day, IndiGo Airline with Bhopal is going to start the flight from Jabalpur to Hyderabad. The booking of which has already been started. Its fair also has been priced at Rs 1,999 from Bhopal to Hyderabad. If that is the case of International Route, IndiGo has started a direct flight between Hong Kong and Bangalore from December 11. Talking about Indigo's Winter Sale, the company is giving a flight ticket of Rs 899. This is the starting price. It is also the same news that along with Jabalpur and Bhopal, Indigo is going to start booking soon for Ahmedabad. The same Air India is also running a Same offer these days. The company has made tickets for night flights cheaper than normal time-traveling flights between Bengaluru-Ahmedabad-Bangalore, Delhi-Coimbatore-Delhi, Delhi-Goa-Delhi, and these flights are being run at night.